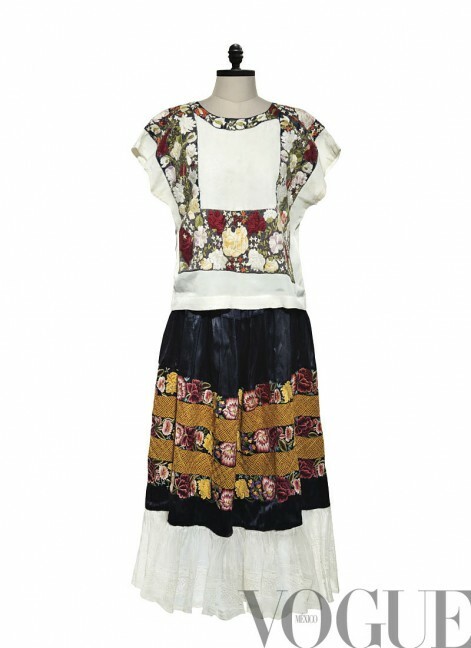 When the Mexican painter Frida Kahlo died, her husband muralist Diego Rivera locked her clothes and jewelry into a closet. They stayed there for fifty years and only recently were re-discovered. 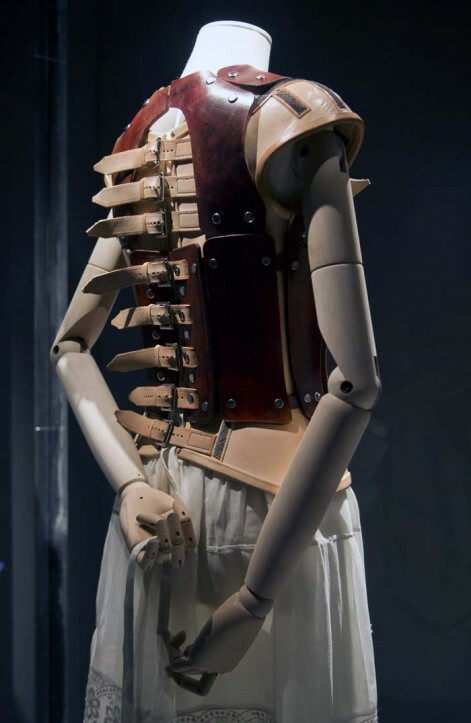 In November 2012 “Appearances Can Be Deceiving” opened at La Casa Azul aka The Frida Kahlo Museum in Mexico City (the previous residence of Frida and Diego) and it is dedicated entirely to the wardrobe of the woman known as “la heroina del dolor” (the heroine of pain). The exhibition is a resounding affirmation that Frida Kahlo was not just an artist, but she was art. A style icon to be sure! 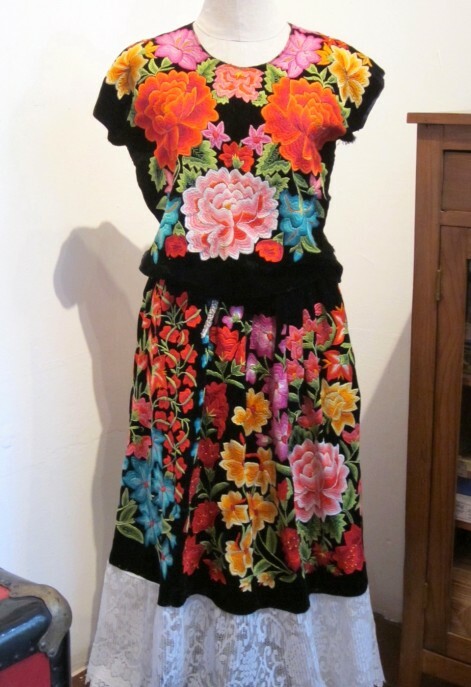 Full of colorful huipil (the traditional full skirts worn by women at the time in Mexico), vibrant patterns, red flowers, loose embroidered peasant blouses, ribbons and bells, Frida’s wardrobe was so much like her– explosive, vibrant, hard with a feminine ease. 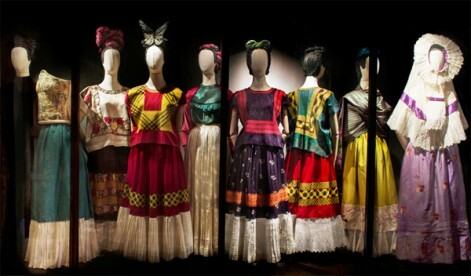 Looking at her dresses, it’s clear mama Kahlo was an old school futurist with an eye for bold colors and soft texture. Just as her soft lips framed by that hard unibrow defined her uniquely juxtaposed beauty, her long ruffled skirts that covered her disfigured legs worn with her hard body cast defined her style. 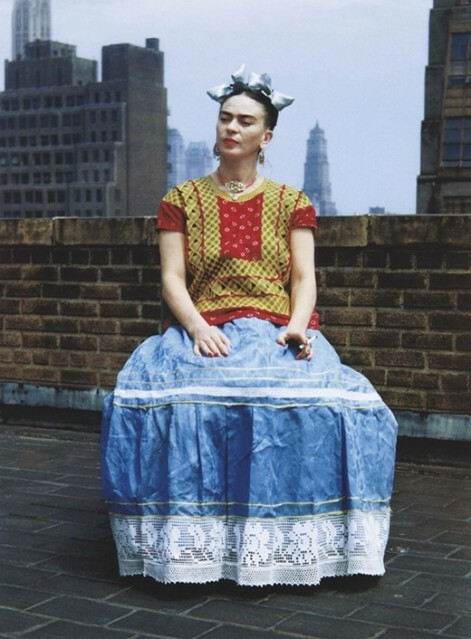 I really love Frida because she found her stylistic edge in spirit, Nature and through acceptance and love of flaws. Through her style sense and self-adornment, she re-bodied her frail frame making her not only a trendsetter, but also stronger and fiercer than ever!! Frida Kahlo loved gold almost as much as she did Mexico’s beautiful silver. Check out this amazing necklace. 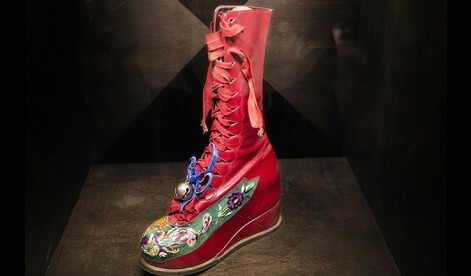 Frida’s heavy metal looked as soft and refined as a blooming tulip. 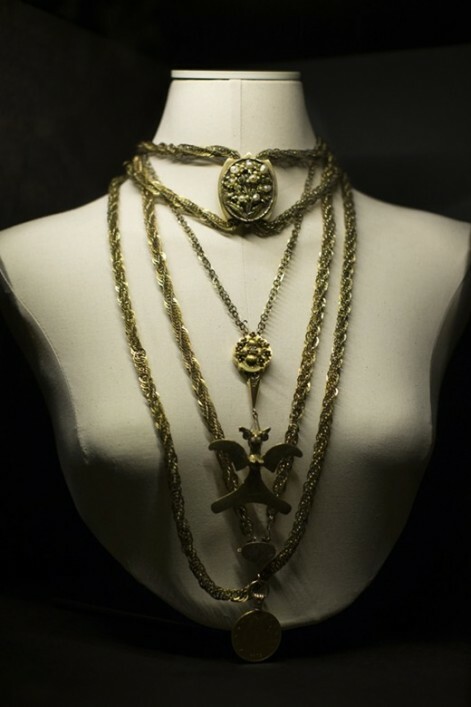 The dookie rope chain has nothing on this gorgeous multi-layered necklace. Sadly, in 1925 Frida was involved in a bus crash that left her with a broken spine, collarbone and pelvis, not to mention a severely fractured leg and dislocated foot. On her injured and disfigured feet she wore special orthopaedic boots that look like something Lady Gaga would have asked Alexander McQueen to design. Just from the pics I’m so damn inspired! I’m going to have to see this exhibit in person. Sounds like a Hotness road trip to Mexico City will be in the works to catch this show before it closes in November. Holla if you wanna join me. I’m not playing! Wepa! Great Nicole. Thanks for this. Love the fashions. Very nice. I am a huge fan of Frida Kahlo. Her fiercely independent spirit, unique creativity, open mindedness, political astuteness and courage in the face of adversity, makes her one of my favorite female icons. I never tire of learning more about her. I have learned a lot about her life, style and work in exhibitions in Mexico. I would love to see this show as well. Thanks for sharing this.